Like a lot of others, my iPad surprised me when I first got it and discovered that there was no way to print easily from it. Since mine was a gift, I just added that to a list of other reasons I was glad I hadn’t paid for it. But it isn’t that easy for the millions of tablet users for whom their iPad or Android tablet is a vital part of their everyday work life. The paperless office is a long way off, and the ability to print is one of the basic needs for many business activities. 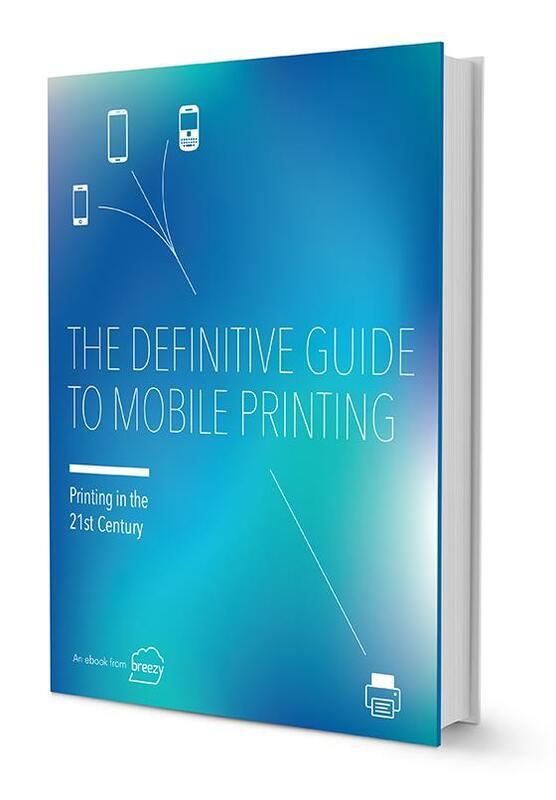 I just finished working with Breezy, a company in which I am a small shareholder and for which I provide marketing services, on a new ebook called The Definitive Guide to Mobile Printing. It’s available free, for download, at this link. I think the Breezy team did a great job on the book, and I think you will, too. Whether you’re a mobile device user, an IT manager, or a security or compliance manager, this 38-page ebook just might be the best free download you find anytime soon. Here’s the link again — I hope you enjoy reading it as much as I enjoyed working on it! Gallery | This entry was posted in Law, Management & Entrepreneurship and tagged Breezy, BYOD, CFAA, FINRA, HIPAA, IT, mobile printing, secure mobile printing. Bookmark the permalink. These tips are so true.